How Should I Take Ownership of the Property I am Buying? Real property can be incredibly valuable and the question of how parties can take ownership of their property is important. The form of ownership taken -- the vesting of title -- will determine who may sign various documents involving the property and future rights of the parties to the transaction. These rights involve such matters as: real property taxes, income taxes, inheritance and gift taxes, transferability of title and exposure to creditor’s claims. Also, how title is vested can have significant probate implications in the event of death. The Land Title Association (LTA) advises those purchasing real property to give careful consideration to the manner in which title will be held. Buyers may wish to consult legal counsel to determine the most advantageous form of ownership for their particular situation, especially in cases of multiple owners of a single property. The LTA has provided the following definitions of common vesting as an informational overview. Consumers should not rely on these as legal definitions. 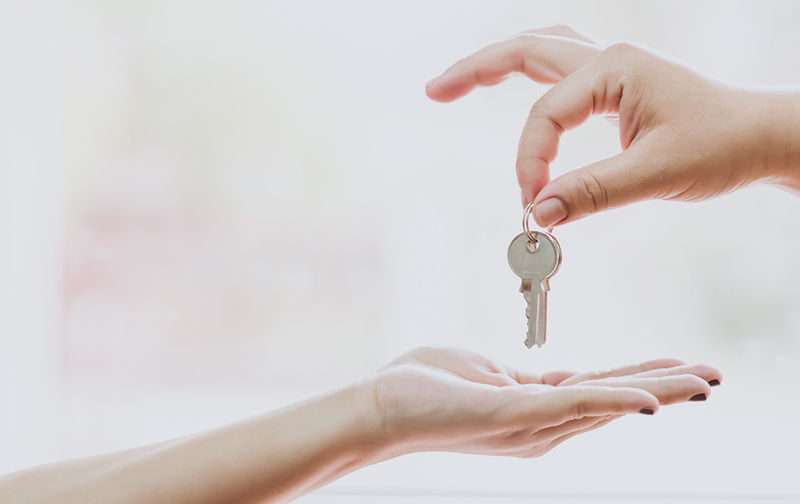 The Association urges real property purchasers to carefully consider their titling decision prior to closing, and to seek counsel should they be unfamiliar with the most suitable ownership choice for their particular situation. A man or woman who has not been legally married. For example: Bruce Buyer, a single man. A man or woman who was previously married and is now legally divorced. For example: Sally Seller, an unmarried woman. A married man or woman who wishes to acquire title in his or her name alone. The title company insuring title will require the spouse of the married man or woman acquiring title to specifically disclaim or relinquish his or her right, title and interest to the property. This establishes that it is the desire of both spouses that title to the property be granted to one spouse as that spouse’s sole and separate property. For example: Bruce Buyer, a married man, as his sole and separate property. A form of vesting title to property owned by husband and wife during their marriage, which they intend to own together. Community property is distinguished from separate property, which is property acquired before marriage, by separate gift or bequest, after legal separation, or which is agreed to be owned only by one spouse. Real property conveyed to a married man or woman is presumed to be community property, unless otherwise stated. Since all such property is owned equally, husband and wife must sign all agreements and documents of transfer. Under community property, either spouse has the right to dispose of one half of the community property, including transfers by will. For example: Bruce Buyer and Barbara Buyer, husband and wife as community property. A form of vesting title to property owned by two or more persons, who may or may not be married, in equal interest, subject to the right of survivorship in the surviving joint tenant(s). Title must have been acquired at the same time, by the same conveyance, and the document must expressly declare the intention to create a joint tenancy estate. When a joint tenant dies, title to the property is automatically conveyed by operation of law to the surviving joint tenant(s). Therefore, joint tenancy property is not subject to disposition by will. For example: Bruce Buyer and Barbara Buyer, husband and wife as joint tenants. A form of vesting title to property owned by any two or more individuals in undivided fractional interests. These fractional interests may be unequal in quantity or duration and may arise at different times. Each tenant in common owns a share of the property, is entitled to a comparable portion of the income from the property and must bear an equivalent share of expenses. Each co-tenant may sell, lease or will to his/her heir that share of the property belonging to him/her. For example: Bruce Buyer, a single man, as to an undivided 3/4 interest and Penny Purchaser, a single woman, as to an undivided 1/4 interest, as tenants in common. A corporation is a legal entity, created under state law, consisting of one or more shareholders but regarded under law as having an existence and personality separate from such shareholders. A partnership is an association of two or more persons who can carry on business for profit as co-owners, as governed by the Uniform Partnership Act. A partnership may hold title to real property in the name of the partnership. A trust is an arrangement whereby legal title to a property is transferred by the grantor to a person called a trustee, to be held and managed by that person for the benefit of the people specified in the trust agreement, called the beneficiaries. This form of ownership is a legal entity and is similar to both the corporation and the partnership. The operating agreement will determine how the L.L.C. functions and is taxed. Like the corporation its existence is separate from its owners. *In cases of corporate, partnership, L.L.C. or trust ownership - required documents may include corporate articles and bylaws, partnership agreements, L.L.C. operating agreement and trust agreements and/or certificates. How title is vested has important legal consequences. You may wish to consult an attorney to determine the most advantageous form of ownership for your particular situation. © 2019, The data relating to real estate for sale on this Website come in part from the Broker Reciprocity Program (BR Program) of M.L.S. of Naples, Inc. Properties listed with brokerage firms other than are marked with the BR Program Icon or the BR House Icon and detailed information about them includes the name of the Listing Brokers. The properties displayed may not be all the properties available through the BR Program. BR data on this website is provided by on behalf of Ron Agin. The source of this real property information is the copyrighted and proprietary database compilation of the M.L.S. of Naples, Inc. Copyright 2006 M.L.S. of Naples, Inc. All rights reserved. The accuracy of this information is not warranted or guaranteed. This information should be independently verified if any person intends to engage in a transaction in reliance upon it. Data last updated 2019-04-21 00:06:48.